According to new analysis this year by Diabetes UK, there are around 4.7 million people in the UK living with diabetes - with that number expected to rise to 5.5 million by 2030. It’s also estimated that there are nearly 1 million people living with Type 2 diabetes, but have not yet been diagnosed and a further 12.3 million people at risk of developing it. If not managed well, diabetes can lead to devastating health complications, so the need to take preventative measures against the condition has never been greater. 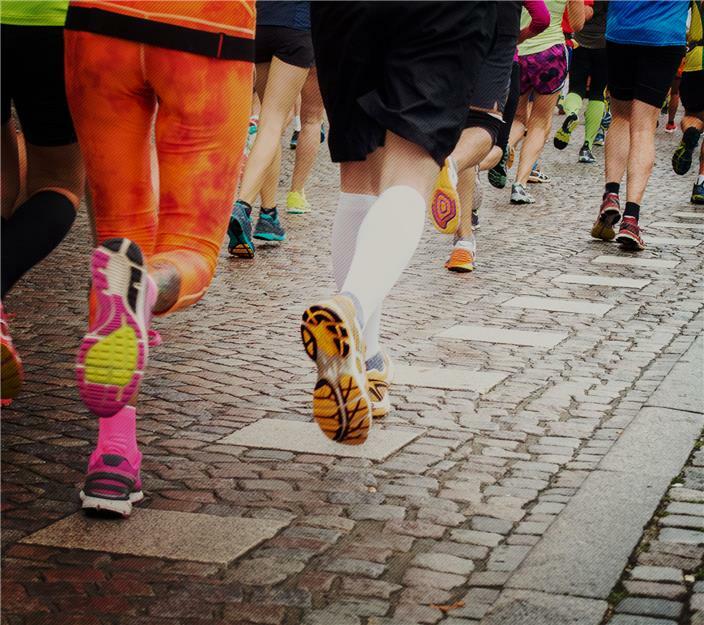 That’s why Simplyhealth has chosen Diabetes UK as the official charity partner of the Simplyhealth Great Run Series 2019; encouraging people to become more active to help manage the condition or reduce the risk of developing Type 2 diabetes. Here, Douglas Twenefour, Deputy Head of Care at Diabetes UK, explains the benefits physical activity such as running can have for those at risk of, or with Type 2 diabetes. There are a number of risk factors for Type 2 diabetes, including age and ethnicity, but being overweight is the most significant. It’s also the one that many people can take steps to manage or reduce. Eating healthily and doing regular physical activity like running can help you manage your weight and ultimately lower your risk of developing Type 2 diabetes. Nobody is expecting you to become a marathon runner overnight but running regularly benefits the body in a number of ways which will ultimately help prevent or manage the condition. When you’re living with Type 2 diabetes, the insulin your body produces can be less effective at processing the glucose in your blood, which can lead to glucose building up in your bloodstream. Running can help your body use the insulin it produces more efficiently, meaning your body becomes more effective at processing the glucose in your blood. This helps keep blood glucose levels in the short-term healthy range (4-7 millimoles per litre). Exercise like running can increase the amount of glucose your body’s muscles use for energy, which in turn can help to lower blood glucose levels in the short-term. This is important because a short-term rise in blood glucose levels can lead to symptoms such as the need to urinate more; thirstiness; and tiredness. Maintaining a short-term blood glucose level of 4-7 millimoles per litre lowers the risk of developing such symptoms. However, different people could be given different blood glucose targets depending on how their diabetes is treated and their personal circumstance. Running not only helps keep glucose levels low in the short-term. More effective processing of the glucose in your blood helps it stay within the healthy long-term range too. Having high long-term blood glucose levels (HbA1c) of more than 48 millimoles per moles over time has been associated with life-changing complications of diabetes such as sight loss, kidney disease and amputations. Running regularly will keep your long-term glucose levels in check, which in turn can prevent damage to the blood vessels supplying blood to your eyes, kidneys and nerves.